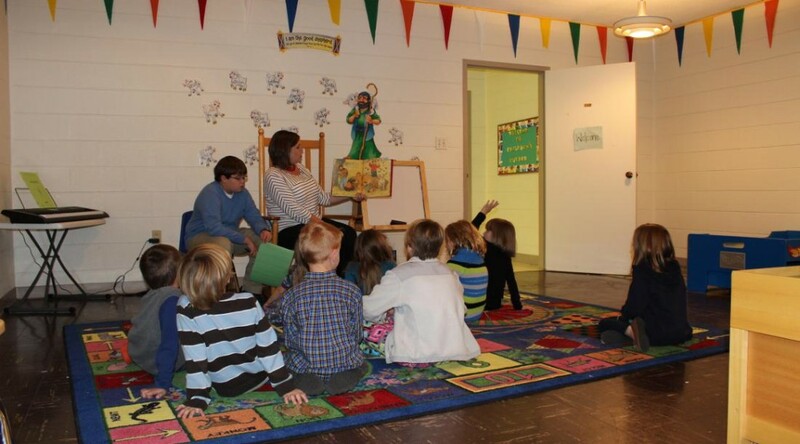 Sunday school classes are offered at 10:00 am each Sunday morning for children, grades 1 – 6. Children enjoy bible lessons and fun activities from LifeWay materials. During our morning worship service, children, K-5 – 3rd grade, have the opportunity to attend Children’s Church taught by our Children’s Director, Amy Smith. Amy does a great job teaching Bible-based lessons that are rooted in God’s Word. There are fun activities that accompany these lessons. On Sunday evenings at 6:00 pm, children, K-5 – 6th grade, can attend King’s Kids. This is a time of Bible lessons, crafts and other fun activities. On Wednesday evenings at 6:45 pm, children, grades 1 – 6, can attend Royal Ambassadors and Girls in Action. These mission organizations strive to teach children about God’s love and how missionaries share His love. They also encourage participation in missions in our own community. The children of today are the mission leaders of tomorrow! Each year in June, we have Vacation Bible School, which is a very exciting time for our church. We have classes for everyone, 3 years of age through adults. We use LifeWay’s themed literature for VBS, and it is a time of bible study, fellowship, crafts, fun and games. God has blessed our church with many children coming to Christ during VBS. A monthly activity is provided by Amy for children, K-5 – 6th grade. The children also participate in an annual Christmas Program that is always lots of fun.